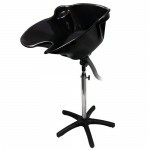 A shampoo chair is a seat or armchair incorporating or abutting a sink. 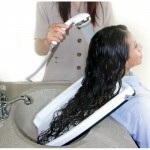 Its design allows a person to recline comfortably while resting his or her head over the edge of the sink, so that a hairdresser can wash the client's hair. 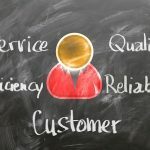 These items are found exclusively in beauty salons and barber shops. 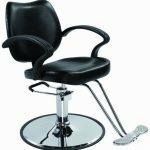 Such chairs generally are made of high-quality, waterproof materials because of their central role and frequent use in beauty salons.